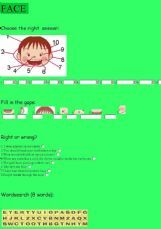 this is very good worksheet for my students,but I can´t download this.What can I do? how can I download? I´m using this exercise at school with my students. They love it. Thank you.